Easily described as one of the most beautiful beaches in the Tamarindo area, Playa Avellana boasts pristine beach wilderness with stretches of rocky tide pools and other areas of white sand. There is no native village or shops within Avellanas, as it is often referred to. It does however host a few easy-going hotels, cabinas, and surfer retreats. 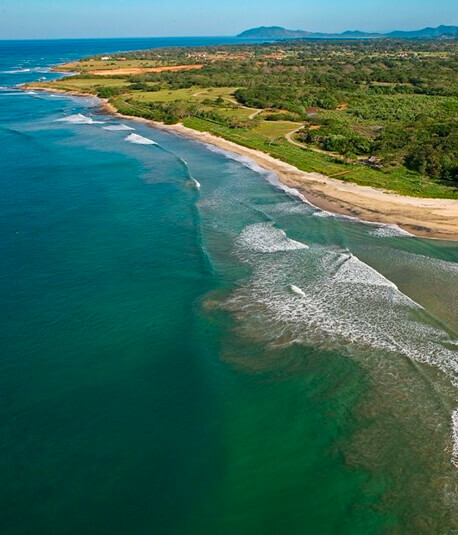 Playa Avellana has world-class waves and relaxing shores that make it a paradise for surfers. The locals even call it “little Hawaii”, as the high seas waves reach up to 5.5 meters high, attracting experienced surfers from all over the world. As a quiet alternative to Tamarindo, Playa Avellana offers white sandy beaches and turquoise waters that create a great starting point to see endangered sea turtles in Las Baulas National Marine Park.